Eye-catching Beetle Bodo flies in with his load of springtime joy! His plethora of colors and shapes arouse baby’s curiosity. 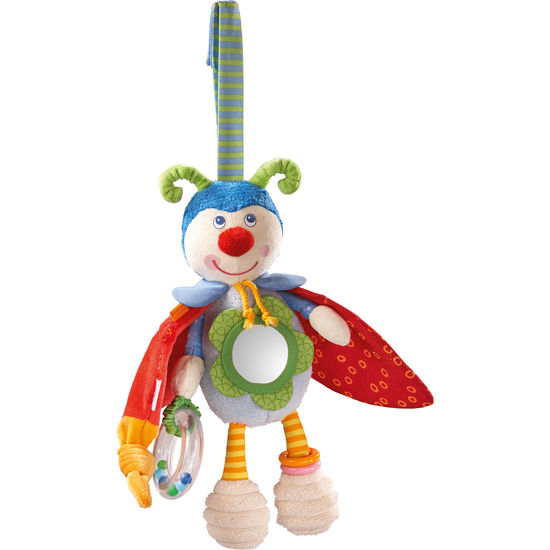 There is also a mirror, a rattle and teething component, everything baby needs for playing.